When it comes to racial prejudice and integration, all are created equal in the classroom, on the playing field, and in friendships, right? Will friends respect the choices made? 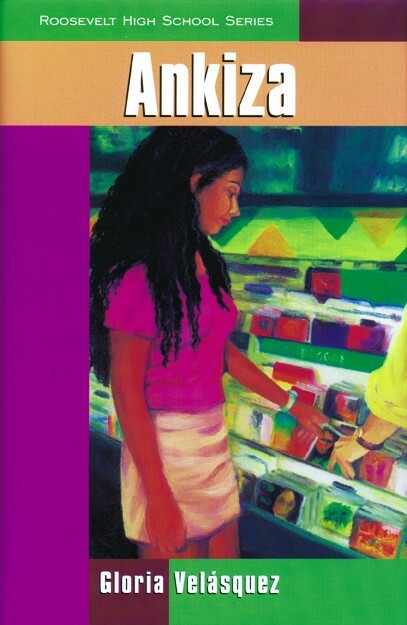 Ankiza is the fifth novel in Gloria Velásquez’s popular Roosevelt High School series, which features a multiracial group of teenaged students who must individually face social and cultural issues (such as violence, sexuality, and prejudice) inescapable among young adults today. Ankiza is a tall, attractive African-American girl who enjoys Bob Marley albums and Oreo cookies. Hunter Bianchi is a handsome Italian-American senior who plays on Roosevelt High’s tennis team along with their mutual friend Maya. When the two students begin to date, they’re mildly surprised (in ways good and bad) by the unexpected reactions of some of their friends: Tommy, Tyrone, Juanita, Rudy, and even Maya. A hateful anonymous note addressed to Ankiza causes a private matter to escalate into a public affair, and soon almost everyone at Roosevelt High—students, parents, and faculty alike—has been drawn into a tense situation; and all are compelled to ask themselves thorny personal questions about bias and resentment they’d generally prefer to evade.